Hopton-on-Sea Beach BeachHopton-on-Sea Beach near Great Yarmouth is a lovely sandy beach stretching down the coast towards Suffolk. 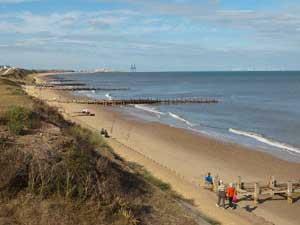 The wide sandy beach is punctuated with groynes and runs alonside low grassy cliffs. 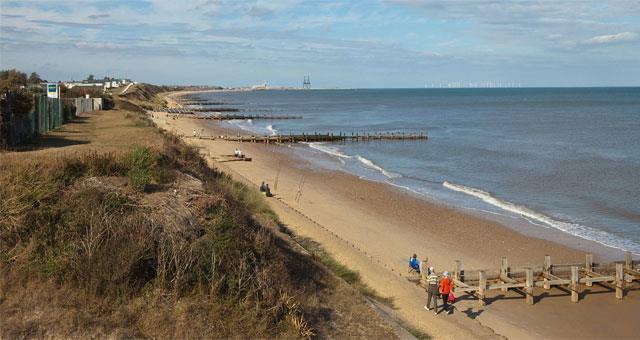 Hopton-on-Sea Beach near Great Yarmouth is a lovely sandy beach stretching down the coast towards Suffolk. Holiday Village guests have direct access to the beach from their resorts. Public access is via a slope. There is no parking nearby. From Great Yarmouth follow the A12 signposted to Lowestoft. With the James Paget Hospital and the Travel Lodge on your left follow across roundabout towards Lowestoft. At next roundabout take the 1st exit. Turn left onto Lowestoft road, turn right onto Station Road and then right again onto Coast Road. Please note there is no public parking near to the beach. Travel by public transport is limited please check details before travelling.